In her strong book about a real-life courtroom tragedy, true-crime author Mardi Link interprets legal jargon for a wide audience and makes the story fascinating. 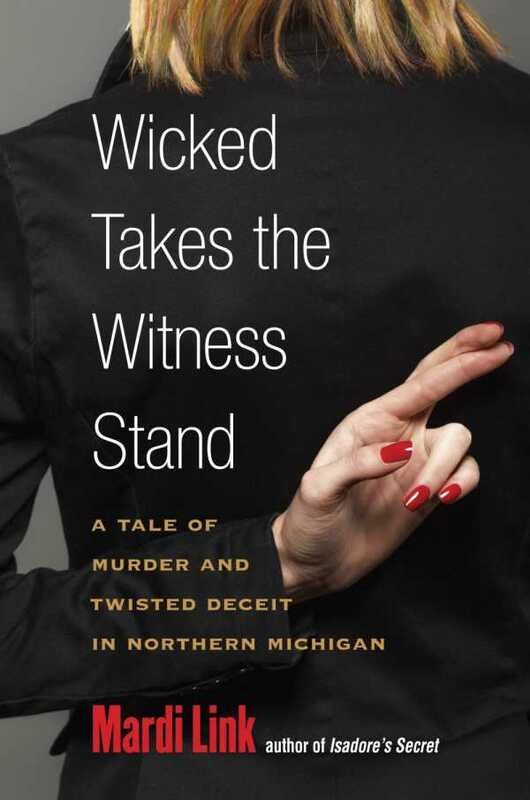 True crime and courtroom drama meet in Wicked Takes the Stand: A Tale of Murder and Twisted Deceit in Northern Michigan. It makes for an intriguing thriller, where shocking deception tangles with virtuous, talented lawyers—only this story is real. A man from a small northern Michigan town is found dead and frozen in the back of his own truck. The death is classified as a homicide, and the prosecutor and police have decided on a suspect: Laurie Moore, part owner of the local butcher shop. After his trial and conviction, a woman named Debbie steps up and says that she saw the murder and that others were involved. The years to follow tie up the small-town courts, with Debbie changing her story yet still being protected by the police, who even supply her with room and board, medications, and spending money. For years, five men spend time in jail while their lawyers fight to defend their innocence and clear their names. Wicked Takes the Witness Stand creates an accessible account of a series of complicated cases and makes them fascinating.